Have a rotten, smelly, odor coming from your clogged or broken sewer line? Call your Broomall, PA sewer line specialist now at John McCuen Plumbing Heating Air Conditioning, In. at (610) 325-9395 and get immediate services today! Or click here to save with our online deals and coupons. Sewer lines are not often high on the list of causing major water damage to homes and businesses, but perhaps they should be. When sewage from sewer lines backs up into houses, the damage is often difficult to repair, expensive to repair, and can create health hazard in your home. If your in Broomall, PA, or the surrounding areas, call John McCuen Plumbing Heating Air Conditioning, Inc. for professional services today! 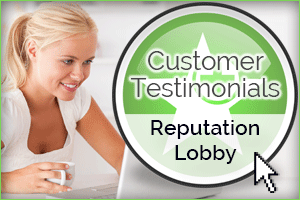 Or click here to see what our past customers have to say about our services. There are various reasons why a sewer line can back up and create issues in your home. From natural issues to man made, when a sewer line damages, it needs professional repair services. Our technicians are experienced and knowledgeable in repairing a great majority of these issues safely and efficiently. Tree Roots – Most people don’t think about the roots of the trees in the yards until the wreak havoc on your homes plumbing. Invasive roots can crack and break into your home’s sewer lines. Tree roots can travel a good distance, and they can enter the system at different locations. Aged Or Weak Pipes – over time the sewage pipe in your home can weaken and become susceptible to repair issues. When this occurs you can be left with a sewage line riddled with holes, cracks, and rust. This can lead to serious repair issues in your home or business. Blockage – Fat, oil, and grease can all create blockage in your sewer lines. If these liquids are not disposed of properly, they can solidify and eventually plug up the drain system. This creates unnecessary pressure in your homes sewage lines which can lead to cracks or damage. Who Perform Sewer Line Repair? If your home or your place of business is experiencing sewer line problems, we can help. Call John McCuen Plumbing Heating Air Conditioning, Inc. for professional services. Sewer damage can have a severe impact on both family and business life, however, there are several methods we can use to repair the destruction. We have the experience and the latest state-of-the-art technology to find the problem and devise a quality repair service. Once we uncover the source of the trouble, we can use one of several methods to get your home or business back in sanitary working order. Open or trench method. In this traditional repair, a backhoe opens the ground to give access to the lines that hold the problem. Non-trench method. With new technology, we can in many cases reach the damaged or choked piping without having to tear up driveways or dig into the soil. In that case, disruption of life at home or on the job is minimized. Pipe bursting. Holes are made at each end of the damaged section. New piping is pulled through as the old piping is ripped apart. How Can John McCuen Plumbing Heating Air Conditioning, Inc. Help With Sewer Line Damages? If you suspect any sewer problem at your home or your place of business, don’t hesitate, call our professional staff immediately. A sewer problem that is not repaired can lead to extensive damage to your building or your home; causing destruction of valuables, and possible serious disease consequences. Our professional technicians will provide you with efficient and professional repair services that will have you up and running in no time! Is there a damaged sewer line in your Broomall, Pa home? Call John McCuen Plumbing Heating Air Conditioning, Inc. at (610) 325-9395 to get immediate repair services today!